We know that you want your stones to be everything you imagine them to be! Not only do you get to select your stone and fill colors, but you can also select your font option to make your stones one-of-a-kind and perfect for your event. 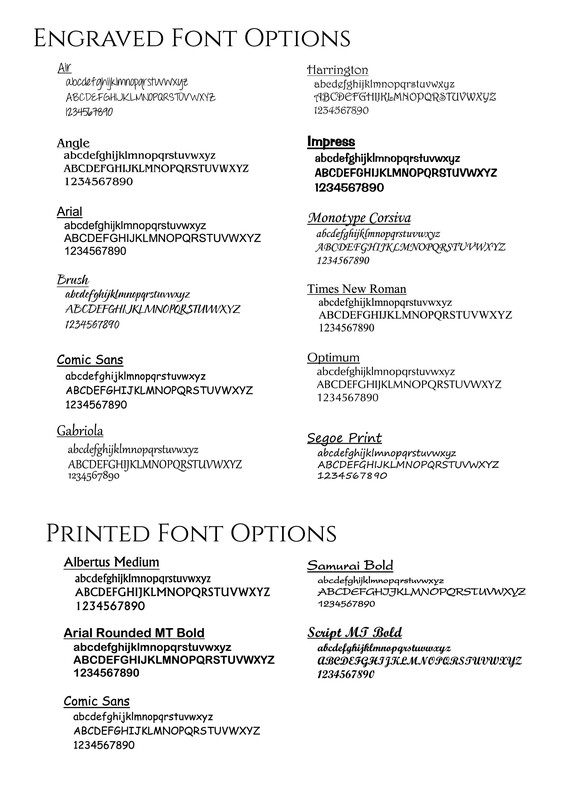 Below is a list of our most popular fonts for you to select from. Don't see what you are looking for? No worries, we can engrave in almost any font as long as we have the font file or image, this includes logos and custom artwork. Please specify in the "Notes to Engraver" section of checkout if you'd like us to use a font that is not listed, and we will be glad to do so. If we have any concerns with the font that you selected or do not have that font file, we will reach-out to you to discuss options.